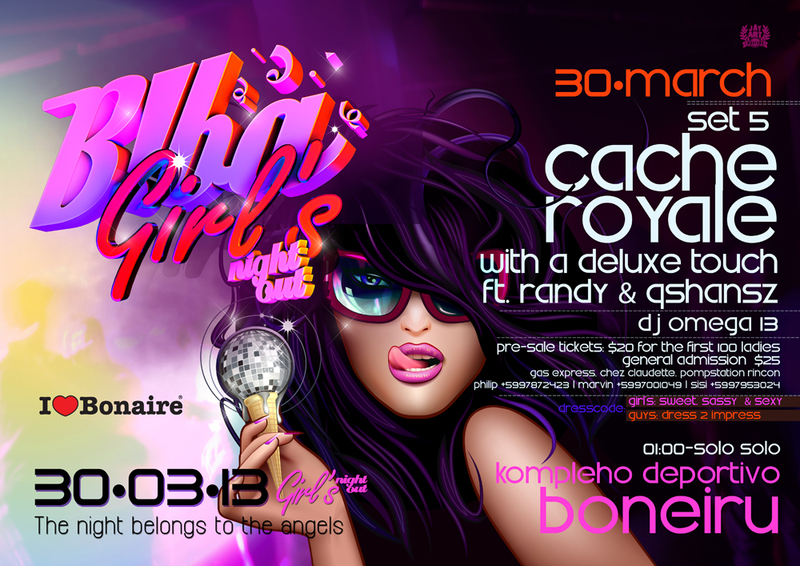 Biba Girls Night out 30 march 2013 The Night belongs to the I Love Bonaire Angels. 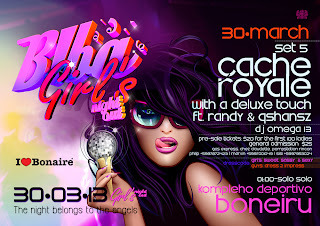 The party we have all been waiting for with Cache Royal and many other guests and great DJ's. For full information about this great event check the official flyer in this article. Be creative and meet the dress code by redesigning your I love Bonaire shirt and sent us your great party pics we will post them on our facebook page. "We will have a great gift for the best picture".